Want to know the travel must-have we can’t leave home without? A roll-up cosmetic bag to store makeup brushes while on-the-go makes for perfect packing every time, we guarantee it! This wanderlust-worthy fat quarter project is travel-approved and the DIY gift every budding makeup artist needs. For an extra touch of glamour, we recommend using Celosia Velvet™ for your outer fabric. Don’t miss the full tutorial below. 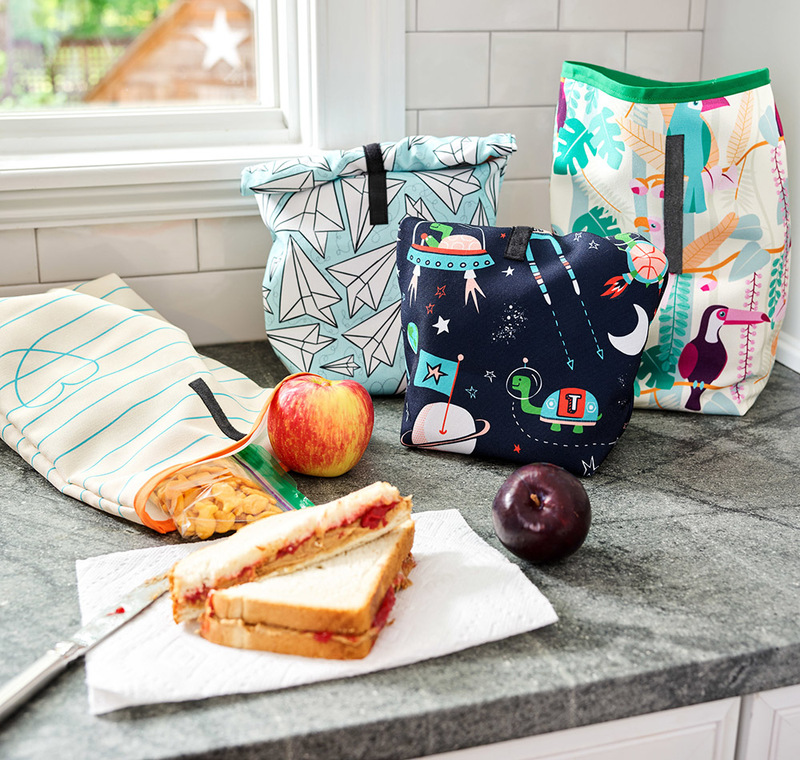 Lunch bags have certainly come a long way from boring (and wasteful) paper or plastic. Your kid won’t want to rush out the door without this custom-made bag in Eco Canvas. 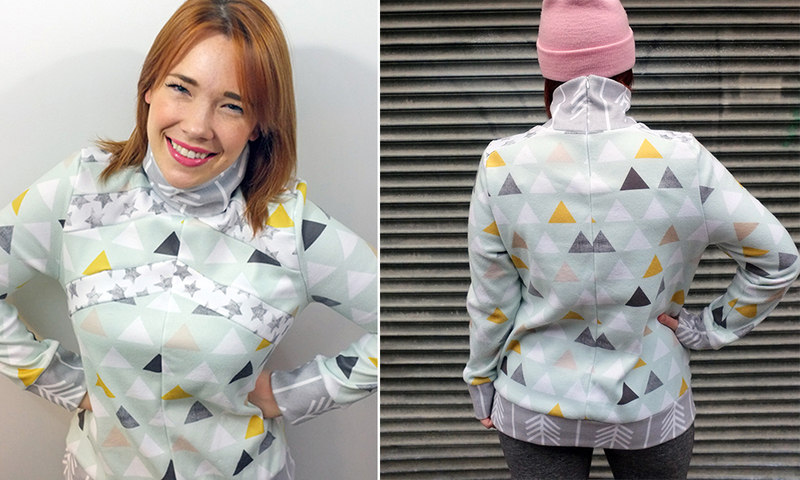 Last week in part one of the Structured Fleece Sweatshirt sew-along with our friend Meg of Burdastyle , we prepped the pattern, cut the fabric, and established our sewing stitches. Now it’s time to start constructing this pullover pattern. 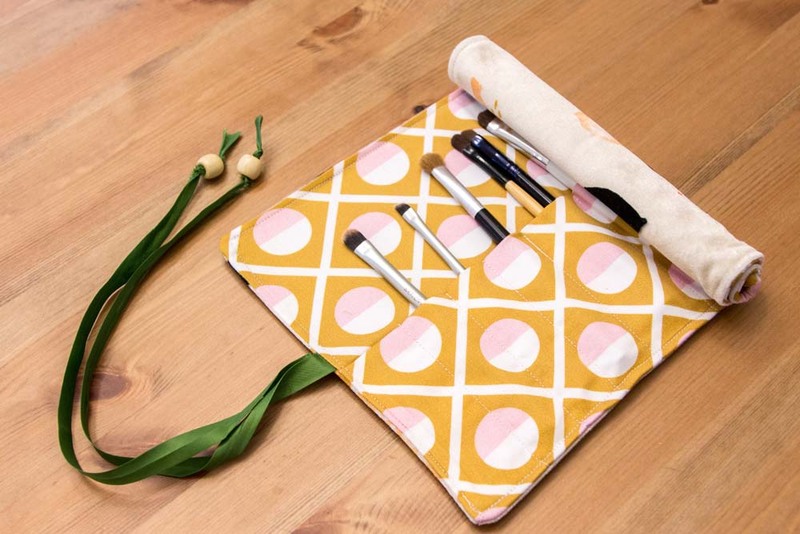 It’s not too late to sew along! Download the BurdaStyle pattern here use use code PULLOVER50 for 50% off. Catch up on part one and meet us back here to get started on putting your pieces together. Now it is time to start putting this pullover together! When I sew garments with multiple panels my go-to method is to assemble the entire front, the entire back then sew them together. I started with the front, so I laid pieces 2 & 1 together. We are reluctant to say goodbye to summer this year, and so before pumpkins and witches take over everything, we’re excited to share one last summer-sewing DIY: a swimsuit! Me-made DIY swimsuits have been the most exciting sewing trend of the summer, and with our Sport Lycra being so perfect for swimwear, we knew we just had to do a sew-along of our very own to show you just how easy this project really is (plus for our friends in the Southern Hemisphere, summer’s just getting started!). The Alison swimsuit from Burdastyle is a perfect starter-suit, for those of you who may have never made one before and are feeling a little nervous. Don’t be! Sewing expert Meg from the Burdastyle team is extremely experienced with suit-sewing, and so we couldn’t imagine a better teacher. Over the course of the next 3 weeks, she’ll be walking you through how to sew up this vintage inspired suit in a step-by-step, broken down process that won’t feel too overwhelming. We hope you’ll join us each Monday for the next step in the sew along, and if you have any feedback or questions along the way don’t hesitate to drop us a note in the comments section. 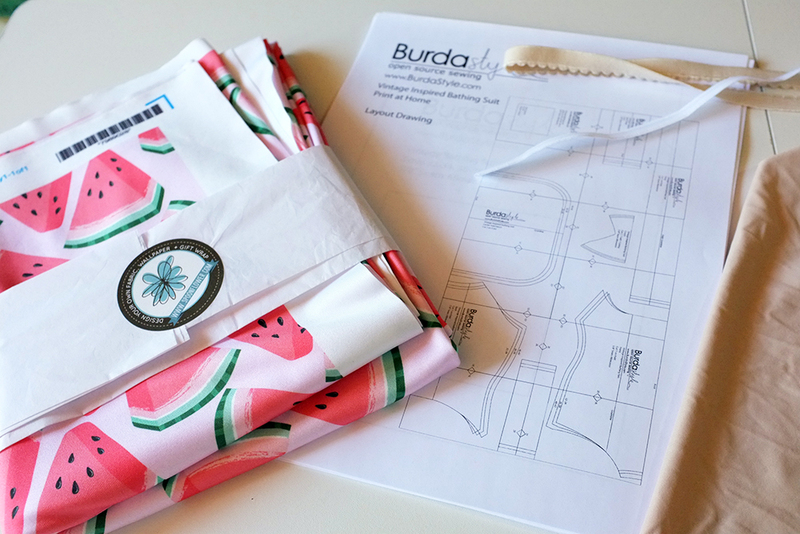 Now we’ll turn things over to Meg of Burdastyle so you can get started! Meg: I used Spoonflower’s new Sport Lycra to make myself a new swimsuit! Just because summer’s closing out doesn’t mean that swim season is over, I always love to go to my local indoor pool for a recreational swim or a good aquafit class. 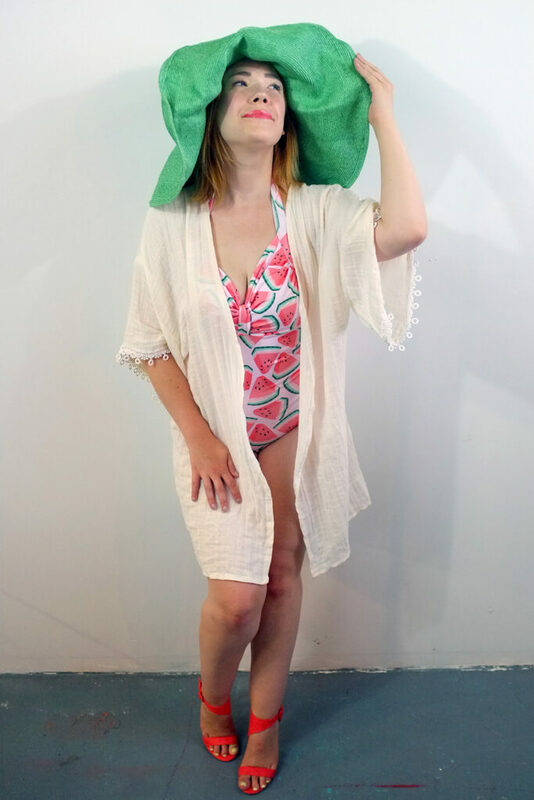 Now I can go in style and comfort with this swimsuit using BurdaStyle’s retro Alison Swimsuit digital sewing pattern and Spoonflower’s Sport Lycra in an adorable watermelon print. 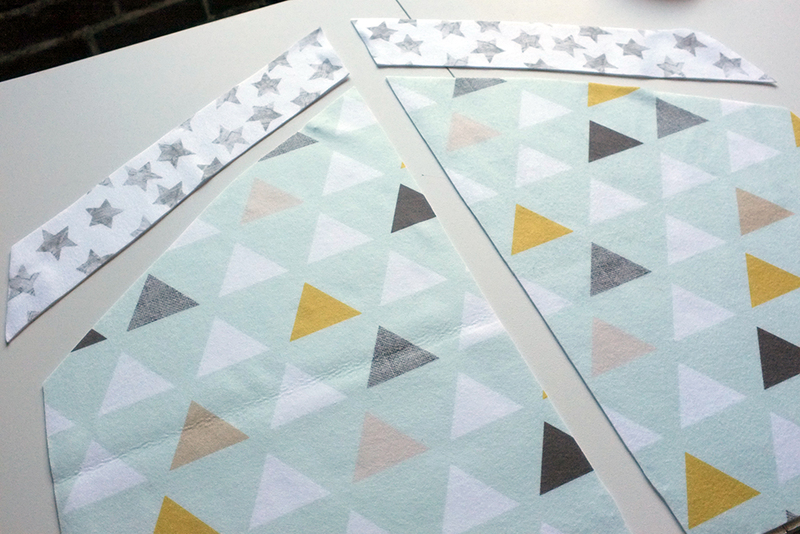 I always love working with stretch fabrics since the projects come together rather quickly and easily… if you have the right tools and use the correct techniques, that is! Read (and sew) along as I sew my retro swimsuit step-by-step in this 3 part sew along! How to Design a Playmat – No Photoshop Required!